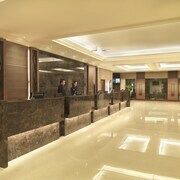 Nice hotel close to twin towers Enjoyable stay and hotel is in a good position. Hotel facilities are very good. Centrally located and comfortable The buffet breakfast is the best! Lots of local eating places in the streets behind or you can stick to the bug airconditioned Sentral Mall. The infinity pool is on the roof is a great hangout area and very child friendly. Lovely hotel Only had a short stay. Would have been great to stay linger to enjoy all the facilities. Good Value clean rooms in the city. Make sure you get the room with kitchenette and washing machine as they proved to be very useful. Extremely polite and friendly staff. Magnificent views. 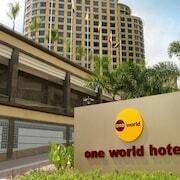 Looking for accommodation in Kuala Lumpur? Whether you're planning on a dirty getaway with bae, a break with your mates or hitting it solo (cos why not! ), you'll find tonnes of insanely good hotel deals on lastminute.com.au. Want to sleep right in the heart of the action? No sweat. You can choose from an impressive 311 hotels within 2 kilometres of the city centre. Dodge the FOMO — stay near all the hustle and bustle at The Ritz-Carlton, Kuala Lumpur and the Villa Samadhi Kuala Lumpur. 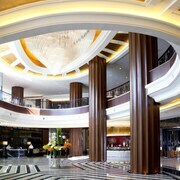 The Mandarin Oriental Kuala Lumpur and the Grand Hyatt Kuala Lumpur are also worth a look in. 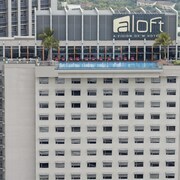 Just 0.3 kilometres from the centre of town, the handy neighbourhood of Bukit Bintang has 110 available hotels. 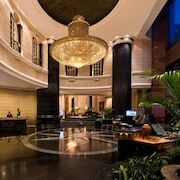 Some of the places to stay include the JW Marriott Kuala Lumpur and The Westin Kuala Lumpur. Another popular area is Kuala Lumpur City Centre, just 2 kilometres from the centre of town. You'll be spoiled for choice here, with 71 available options. Some of the best are the Ascott Kuala Lumpur and Shangri-La Hotel - Kuala Lumpur. Heading to Petronas Twin Towers is a must! Can you really say you went to Kuala Lumpur if you don't see it? The E&O Residences Kuala Lumpur and The Majestic Hotel Kuala Lumpur, Autograph Collection are a stone's throw away. Unpack your suitcase, get out your smartphone and meander on over. The Traders Hotel Kuala Lumpur and The Crib Residence @ Bukit Bintang are near Pavilion Kuala Lumpur. Convenient, yeah? Suria KLCC Shopping Centre, another epic sight, is within a breezy stroll of the Hilton Kuala Lumpur and the Grand Millennium Hotel Kuala Lumpur. The Carcosa Seri Negara or the Pullman Kuala Lumpur City Centre Hotel & Residences have comfy beds for those who want to chill nearer to Kuala Lumpur Tower. The InterContinental Kuala Lumpur and the PARKROYAL Serviced Suites Kuala Lumpur are no-brainers if the Jamek Mosque is more your vibe. Check for guided tours at Embassy of Iran to experience the inner workings of this contemporary civic establishment. It's all about location! Book a room at the Somerset Ampang Kuala Lumpur and Fahrenheit Suites Kuala Lumpur and you'll be quite close to it. Keen golfers can practice their putting skills at Royal Selangor Golf Club. If you're keen to put your feet up after you've been there, the closest accommodation options are the Lanson Place Bukit Ceylon Serviced Residences and Renaissance Kuala Lumpur Hotel. Ever had to spend a long night on the hard airport floor cos you got waayyy too excited and forgot to book your hotel? Save yourself some stiff limbs and see if you can score a room at the Sama-Sama Hotel, KL International Airport or the Concorde Inn KLIA. 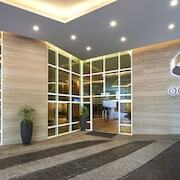 They're not far from Kuala Lumpur International Airport, which is just 45 kilometres from the centre of town.